Justice Available? Damerria Hooten, 6, Drowns in DeKalb County Creek. Could this tragic drowning death have been prevented and are justice and compensation available to the family? 6-year-old Damerria Hooten “drowned in a creek along Athena Lane in DeKalb County” on Thursday, January 31, WSBTV.com is reporting. 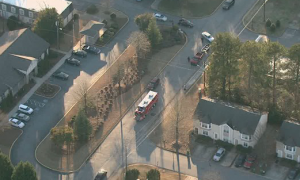 According to Fox5Atlanta.com, “[t]he 911 call of a possible drowning came in a little after 4:30 p.m. When first responders arrived, a family member told them the 6-year-old girl fell into [the] creek.” 11Alive.com reports that “[the child] had been in the water for roughly an hour [and that]…[r]esponders immediately began CPR upon getting the child out of the water.” The young child was “rushed to Egleston Children’s Hospital” where, tragically, she was unable to recover. Apartment residents and guests have a right to feel safe and secure while on the premises. The Murray Law Firm questions the level of security measures provided on the property and whether this tragedy may have been prevented. Have there been prior incidents of children gaining entry to the creek and, if so, what additional security measures were taken by the apartment complex owner and management to protect these young residents? How did any such precautions fail? What security measures, such as fencing, warning signs, written warning notifications and security patrols, were in place to deter entry to the creek and protect Miss Hooten at the time of the drowning? Generally, property owners are required to protect all those legally on the premises from any foreseeable harm. Should the facts of this matter reveal that the apartment complex owner or management failed to provide adequate security and safety measures to protect those on its premises, Damerria Hooten’s family may seek justice and elect to pursue legal claims for her wrongful death. Based upon its prior successful experience in handling premises liability claims on behalf of victims and their families, The Murray Law Firm suggests that photographs and a thorough, unbiased inspection of the property will need to be performed immediately, before any evidence may be repaired, damaged or destroyed. Given the complexities of pursuing a premises liability case, it is imperative that the victims family retain an experienced attorney who can ensure the preservation of any and all evidence that may support such a claim. The Murray Law Firm has an extensive and successful record representing victims of security negligence. We have recovered millions of dollars for our Clients, and recently obtained a $29.25 million dollar verdict for a victim of an unsafe property. We offer our legal assistance, if desired.